Patrick Dillon and Nicola Thorold were together for twenty-eight years. 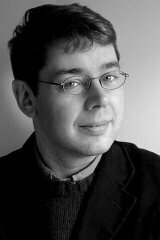 Patrick was a successful architect and writer, Nicola a leading theatre producer. On 31st May 2015, Nicola was diagnosed with leukemia. She died thirteen months later. Six months after that, at Christmas, Patrick started to write about what they had just been through together. A Moment of Grace isn’t just a record of treatment and illness. It’s a book about a love affair, a marriage and a family. It describes the places Patrick and Nicola were happiest together, and the extraordinary bond that strengthened between them as Nicola’s illness took its course. It’s a book not only about the devastation of loss, but about the joy of being together; not only about dying but about surviving. "Patrick and Nicola knew a love more genuine and true than most of us can ever dream. 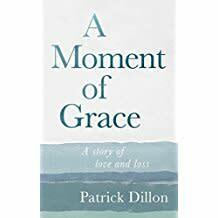 A Moment of Grace is one of the more beautiful books I’ve read: raw, gracious, candid and true." " A narrative as intricate as it is affecting… profoundly moving account of a 28-year romance."